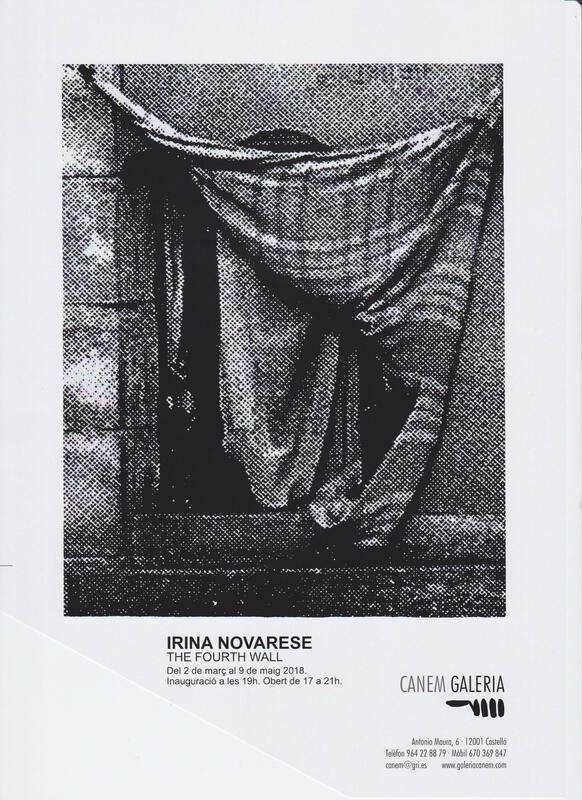 The work’s group titled THE FOURTH WALL is part of a new chapter of Irina Novarese´s project called Landology. Leitmotif is the concept of broad comprehension of living space in relation with infrastructures. Forasmuch as “cracks” in the metropolises represents always new development spheres: how these interstitial spaces come into being and how these and their creators are repeatedly marginalized through urban exploitation? From here I observe existing layers of urban infrastructures and develop visions related to present situations. I turn my curiosity on real people’s movement – in the past and present time – and the future as fiction. I start a process to weave an urban space and to fabric an individual protected space similar to the idea of the cave. Interstices/Cracks is a research and work in progress – 2015/2017. From 2nd of March till 9th of May 2018.